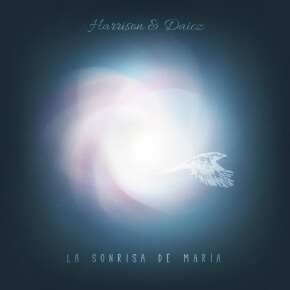 “La Sonrisa de María” (María’s Smile) was recorded as a homage to Brian Harrison’s partner, María Fernández Couso (1961 -2015). The compositions reflect upon many of the places in Spain that the couple had travelled to, and her role as a Radio presenter. Each song was composed by producer Brian Harrison, Guitarist and multi-instrumentalist Charly Daicz participated on every track, with collaborations from many guest musicians, vocalists and Radio presenters. The album is an eclectic mix of Jazz Fusion, Chill out and World Grooves, complemented with ambient recordings. There is also a distinct international flavor, due to the 19 guest artists originating from 11 Countries. Another unique part of this project is that many of the tracks which contain narration or vocals have versions in Spanish, English and Galician Languages. It was recorded between May 2015 and August 2017 in various recording studios in Tenerife, with the ambient recordings from Tenerife, El Hierro, Madrid, León, Tarifa, Almería, Ribadeo, Ribeira de Piquin and the Cíes Islands, in addition to a recording of an antique valve Radio set. The final months of the project were occupied with recording Charlie’s Guitar, Banjo, Mandolin, Charango and Vocals, and arranging and editing. Vocalists Anna Rodriguez, Marianne Robiou and Laura Mereb, along with presenters Monica Siddi, Mercedes Lago, Theresa Willson and Ramesh Mahtani laid down their tracks, whilst guest guitarists Darko Mrak, “Magnomar” Mariano, and Fernando Amado recorded their parts, often improvised. Rod Garret played a rare Irish Whistle, Sam Pearce Sax and Flute, and Fermin Rivero Sax. Matteo worked his Fretless Bass and Roxy Barreiro played her Electric Bass for the first time in several years. In August of 2017, Brian Harrison made the final finishing touches to the tracks. Over two years of work had come to an end of this unique project where over 20 musicians, vocalists and narrators had performed from the heart to honor their friend. “La Sonrisa de María”, a moving yet uplifting tribute to María, was complete.